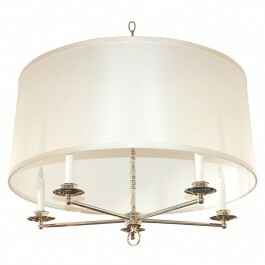 Five Arm Shaded Chandelier. Metal arms & turned central shaft. 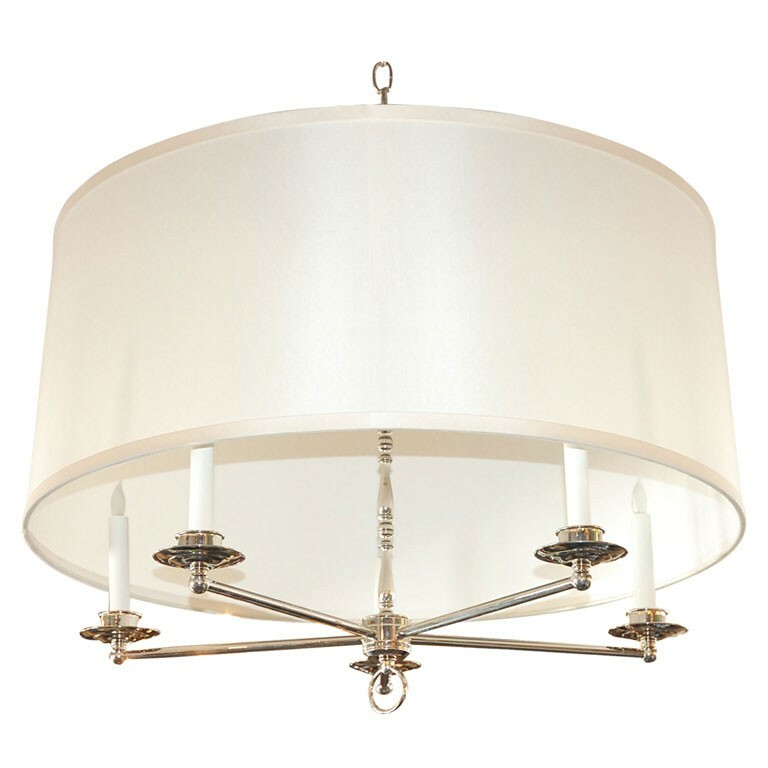 Shown in polished nickel with ivory silk pongee shade of 32" diameter.